The magical landscapes and culture of Ireland simply must be experienced in one’s lifetime. 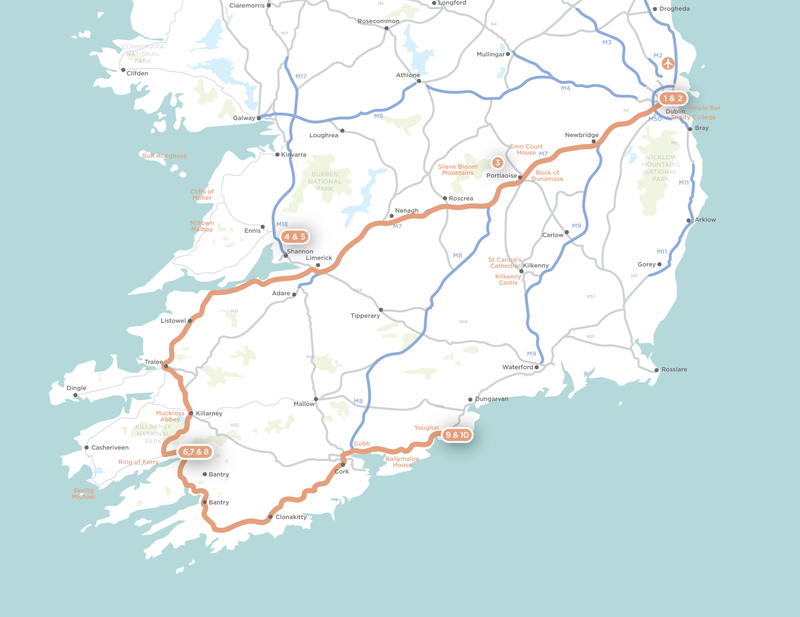 This journey that explores some of the most scenic regions of Ireland, begins in the capital city of Dublin. Head West through to the middle of Ireland to County Laois and its rolling Slieve Bloom Mountains. Continue your route to the surf pounded seascape of County Clare and discover the ancient site of Dun Aonghasa on the Isle of Arran. Meander south along the Wild Atlantic Way to the untamed beauty of Kerry, its legendary peninsular and the breath-taking lakes of the Killarney National Park. 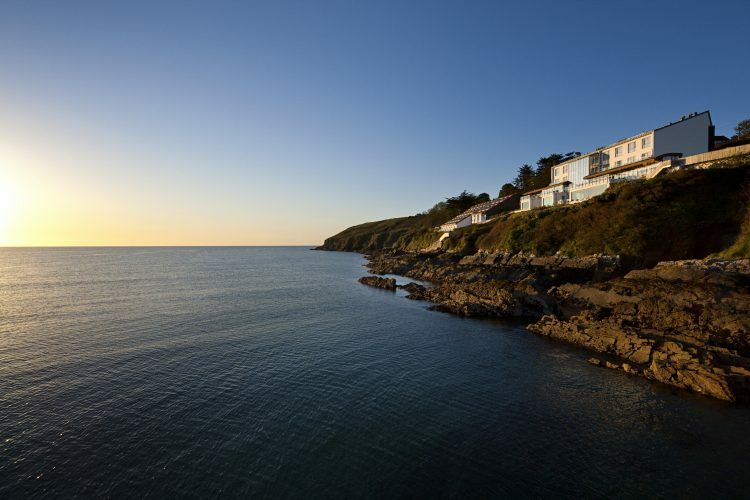 Your final stop is on the coast at Ardmore perfectly located to explore the best of Cork and Waterford. A scenic journey of discovery through some of the diverse landscapes on the Emerald Isle. Experience the Wild Atlantic Way and its World Heritage Sites, the Ring of Kerry and the hidden treasures on the South Coast. 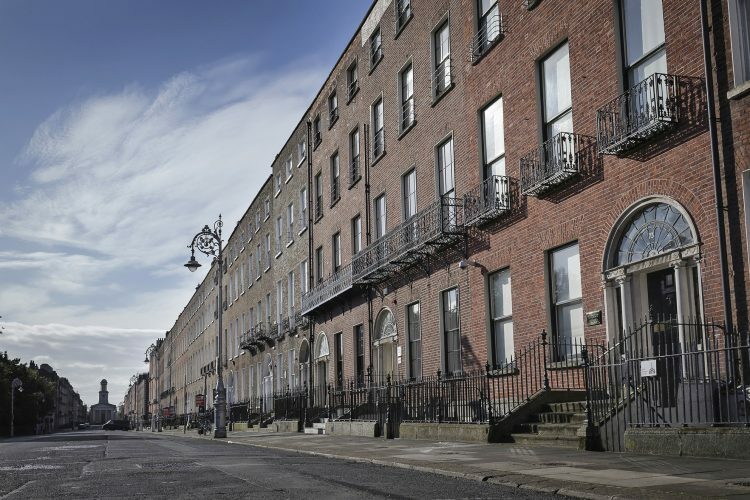 Explore the colourful and vibrant capital city of Dublin. Stay in outstanding country house hotels set in the most scenic of countryside settings. Taste delicious food that showcases regional Irish specialties and the best local ingredients. The colourful and vibrant capital city of Dublin is a perfect introduction to the uplifting land of smiles. Explore its compact cobbled streets and fine Georgian architecture. Visit Trinity college to seek out the illuminated manuscript, the Book of Kells. Make a pilgrimage to the Guinness Storehouse for a drop of the black stuff, or maybe the cathedrals of St Patricks or Christ Church is more fitting. Relax in the city’s green spaces, St Stephen’s Green and Merrion Square are two excellent Georgian parks surrounded by beautifully preserved houses from that era. Explore the bustling Temple Bar full of cosy Irish pubs alive with musicians. Venture just south into the Wicklow mountains for the spectacular scenery at Glenalough ‘the valley of the two lakes’. The delightful harbour town of Dalkey just out of town is the home to many famous Irish residents with two Norman castles and a lovely 10th century church. This hidden corner of Ireland is filled with history and blessed with the gentle rolling hills of the Slieve Bloom Mountains. Get right off the beaten track and discover the Slieve Bloom Way – it is said that you can see half the counties in Ireland from the top of the Blooms. Climb the ancient castle ruins at the Rock of Dunamase, a 9th century monastic fort partially blown up by Oliver Cromwell's invading armies in the 17th century. 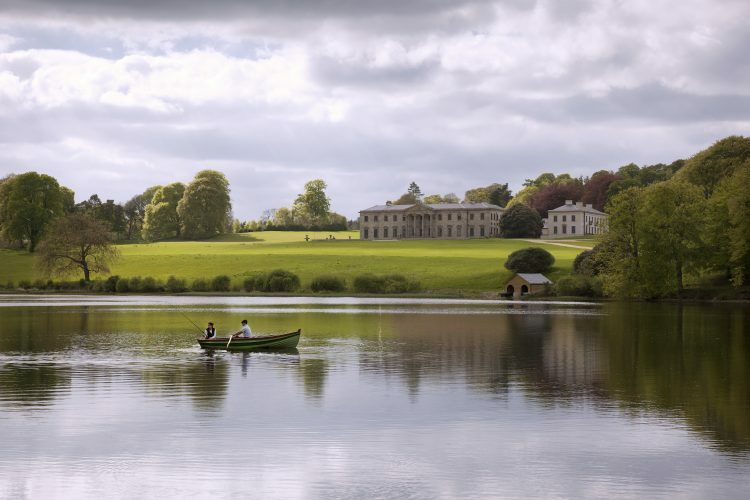 Visit one of Irelands grandest buildings, the magnificent 18th century mansion Emo Court House and nearby Heywood Gardens. Walk through the medieval city of Kilkenny and explore its ancient laneways, wonder at the majestic halls of Kilkenny Castle or experience the glory of thirteenth-century St Canice's Cathedral. Explore the pretty heritage town of Abbeyleix and seek out Morrissey’s, one of the oldest pubs in Ireland established in 1775. County Clare combines spectacular wild landscapes, splendid lakes and a vibrant traditional Irish culture on the Wild Atlantic Coast. The sea has pounded this coastline to create the iconic Cliffs of Moher which command one of the most dramatic seascapes in Europe. On a clear day, the stunning cliff top views reach as far as the Aran Islands and Connemara. Find the inland calm and silence of The Burren, an ancient limestone moonscape which blazes with wildflowers in the springtime. Take a scenic drive along the River Shannon Estuary to the Loop Head peninsula which juts into the Atlantic like a gnarled finger guarded by its attractive lighthouse. Step back in time with a day trip to the magical Aran Islands and find the World Heritage site Dun Aonghasa set on a dramatic 300 ft cliff edge. Visit the village of Miltown Malbay and head down to Spanish Point at sunset for some delightful coastal walks. The untamed beauty of County Kerry is legendary. 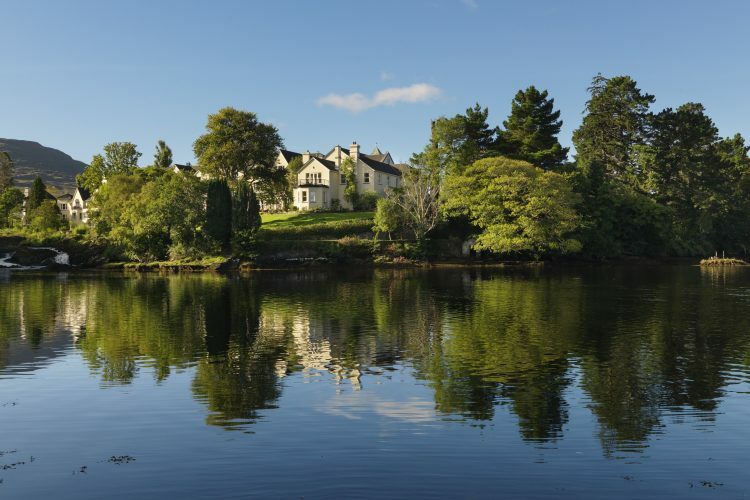 Its jewel in its crown is the lively heritage town of Kenmare nestled on the seashore at the foot of the Caha mountains. From here, circuit the spectacular Iveragh Peninsula which winds its way through unspoilt coastline, medieval ruins, bounded by mist shrouded mountains and loughs, with ever-changing views of the island-dotted Atlantic. Brave the tiny roads and hairpin bends of the lesser-known Beara Peninsular that links the Caha and Slieve Miskish Mountains. Discover the Gap of Dunloe on horseback, its red sandstone cliffs define this beautiful glacial valley in the Macgillacuddy Reeks mountain range. 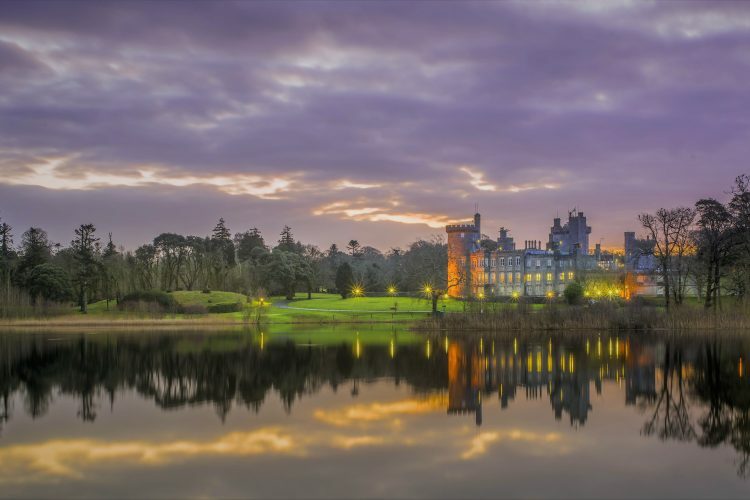 Trek around the breathtaking lakes of the Killarney National Park, and stumble across Muckross Abbey and the medieval Ross Castle on its eastern shore. Take a boat to the solitude of the jagged Skellig Michael, a World Heritage monastic site that has survived from the 6th century. Explore this lesser known part of the southern coast. Stroll the cliff top path at Ardmore and onto the beautiful sandy beach at this lovely fishing village. Discover the oldest Christian settlement in the country with a roofless shell of its Cathedral and a 12th-century Round Tower used as a safe refuge by local monks. Visit the walled Norman seaport of Youghal, at the mouth of the River Blackwater and the impossibly pretty Lismore village and its castle. Find Cobh, one-time point of embarkation for countless emigrants leaving for America and other far-off lands, and learn about the town’s links with the ‘Titanic.’ Get local and enjoy the hustle and bustle of the extraordinary covered English Market in Cork. Lunch at the legendary Ballymaloe House, one of Ireland’s finest restaurants. Kiss the Blarney stone and learn more about Irish kings at the medieval stronghold on the River Martin.